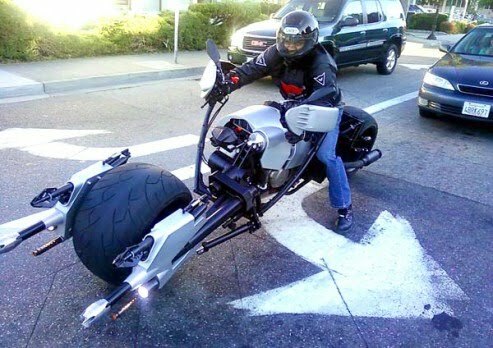 Having two custom tires with large dimension of 18×13-inches, you could now witness a similar to Batman Batpod Custom Motorcycle dubbed PS-Pod on the Road. 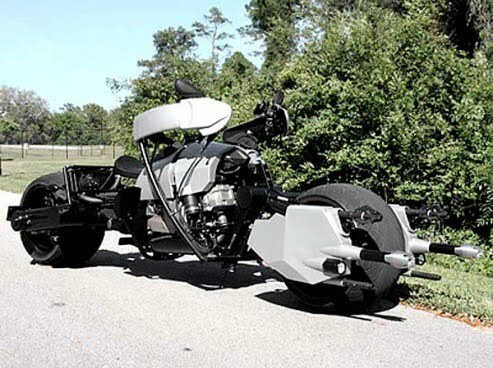 PS-Pod is an abbreviation of Pankaj Shah BatPod, inspired after watching the Batman movie, Pankaj Shah, the original creator of PS-Pod hired some motorbike gurus lead by Dave Welch at Chopper City in United States to build him the type of BatPod he wants to ride. And obviously, there are no weapon attached to the PS-Pod or else, Pankaj Shah would be detained by the police department, don’t you think so? 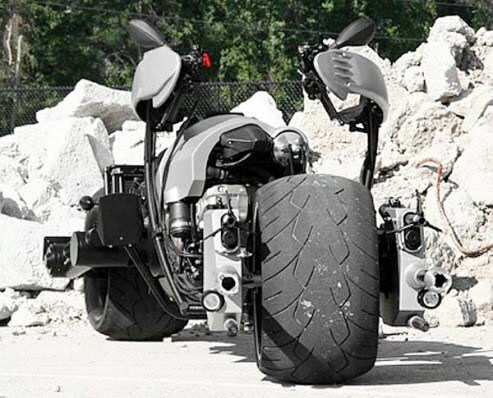 Unlike BatPod, rider of PS-Pod could sit in a chopper bike rider manner, a practical approach for modern BatPod? At least it won’t make you look dumb-dumb when waiting for the traffic lights! Pankaj Shah’s PS-Pod is made from all metal bodywork and no fiberglass material is being used. You will find a mounted drivetrain from a Aprilia Mana 850. No info if Pankaj Shah would like to auction his PS-Pod.